Our promotions, packages and best discounts. OZADI Tavira Hotel has 77 rooms and suites. With you in mind and planning how you can make the best of your free time, we have created fantastic experiences you’ll never forget. 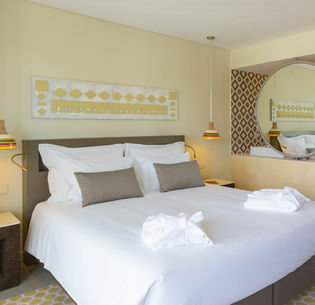 Between the sea and the hills and just a few steps from the lively town of Tavira, OZADI HEART & SOUL TAVIRA HOTEL is an ideal destination for holidays with your family, long weekends with friends or a romantic short break, in the eastern Algarve. 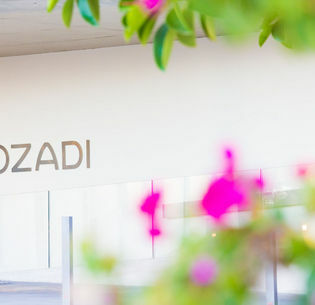 For those looking for outdoor activities, programmes with children, cultural tours, rounds of golf on some of the best courses in Europe, nature walks through the unknown Algarve, the OZADI is a perfect starting point. And it is also ideal for resting on the pool deck and in the gardens, enjoying delicious dishes in our restaurants, relaxing in the cocktail bar and on the panoramic terrace, taking it easy in the lounge with its fireplace and reading corner, the Padel court, the Massage Room with treatments by Thalgo, the Fitness Room with a Turkish bath, while the younger visitors play at the kids club. Activities for parents and children in the Algarve. We are a running friendly hotel, we organize wellbeing weekends, we have decks in the middle of the garden for massages and Yoga... We make everything to see you happy! A four-star hotel, with 77 rooms and suites, surrounded by countryside, beaches, heritage, culture, golf and so much more, completely refurbished in 2014 while maintaining its architecture and original 1970s charisma. A refurbishment designed by an architect and interior decoration that combines a contemporary atmosphere, with vintage details and local crafts, always thinking of your comfort during the days you will be spending in the Algarve. 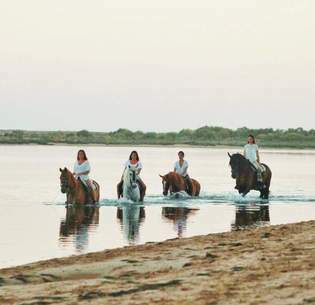 With sun almost all year round, close to beaches and countryside and with the historic centres of Tavira, Castro Marim, Cacela Velha, Vila Real de Santo António and even to Seville to visit, the OZADI TAVIRA HOTEL will always offer new experiences to be explored! At OZADI we share and care! Bring your family and friends and enjoy life in Algarve with us.